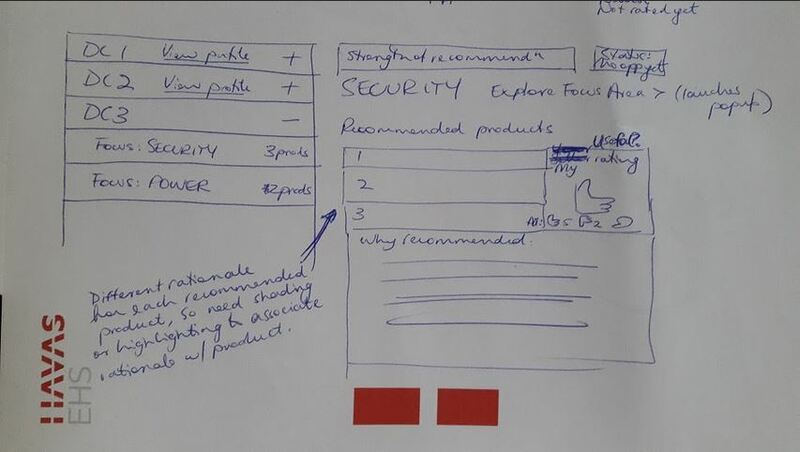 Snapshot of responsibilities: User interviews and task analysis, concept sketches, wireframes, visual design direction, client presentation. 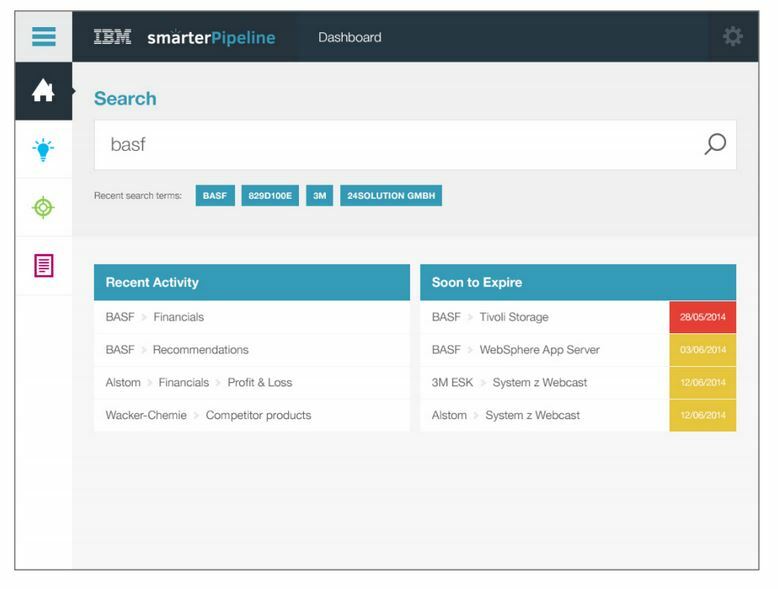 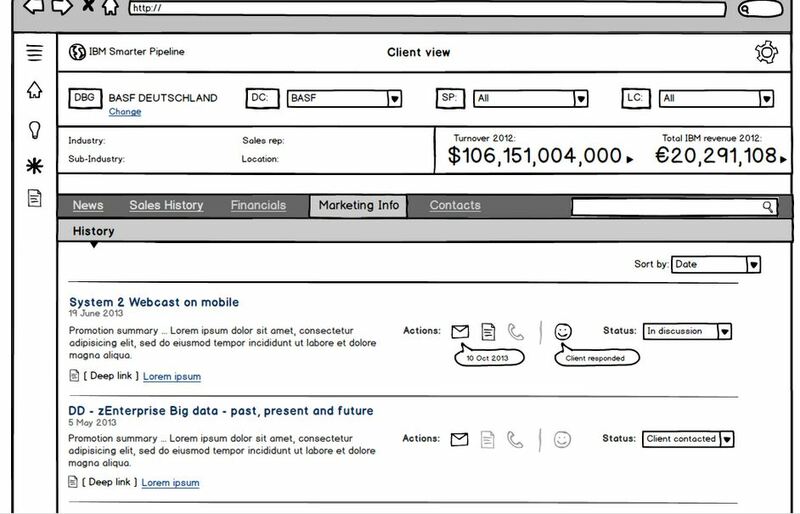 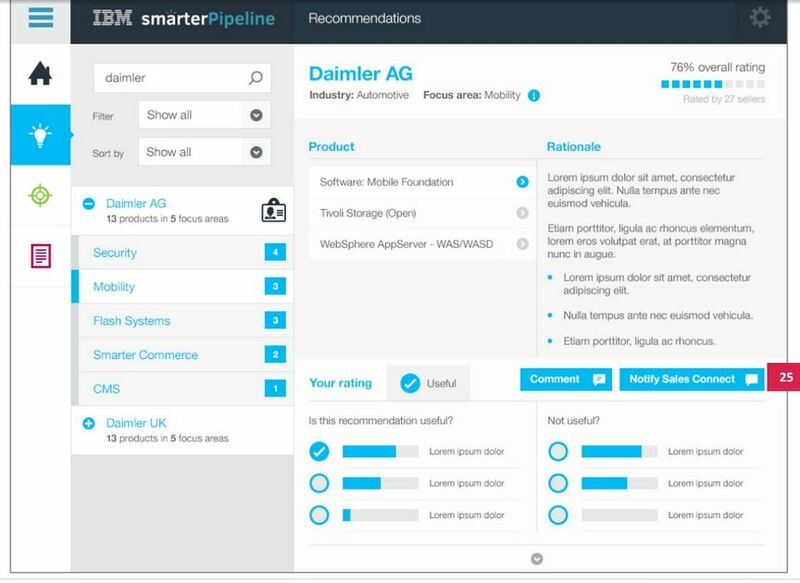 IBM Smarter Pipeline is an internal system for lead marketing and insight used by salespeople in transit and on site with clients. 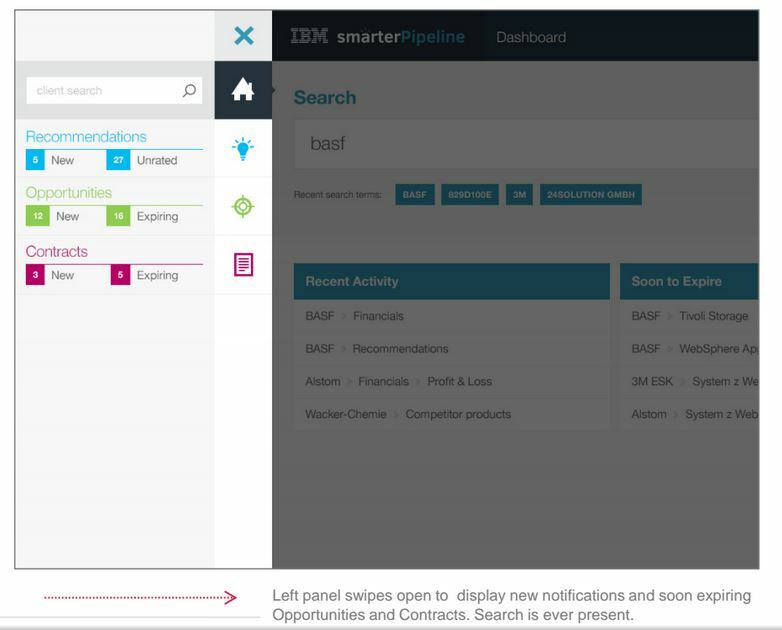 The system aggregates data from multiple systems and is primarily used on tablet. 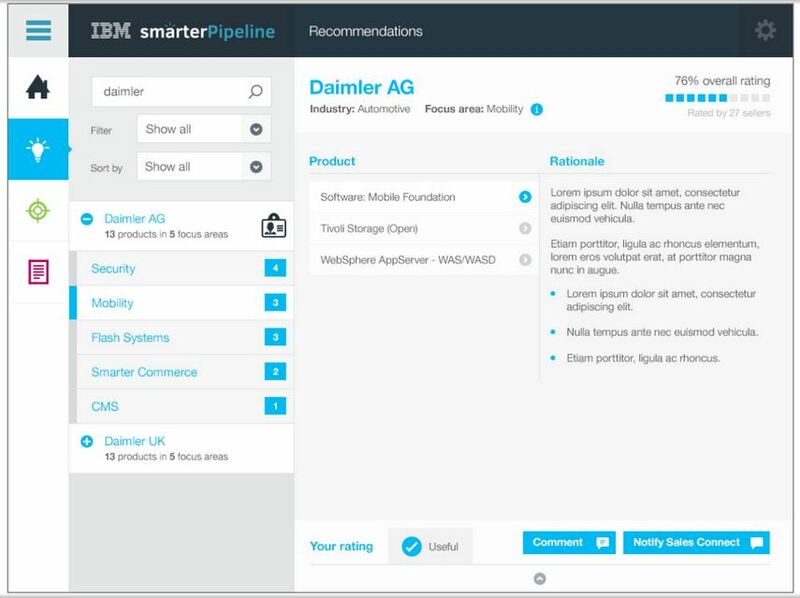 I worked on site with IBM researchers and developers in Zurich for 3 days, collecting requirements, task analyses and speaking to users. 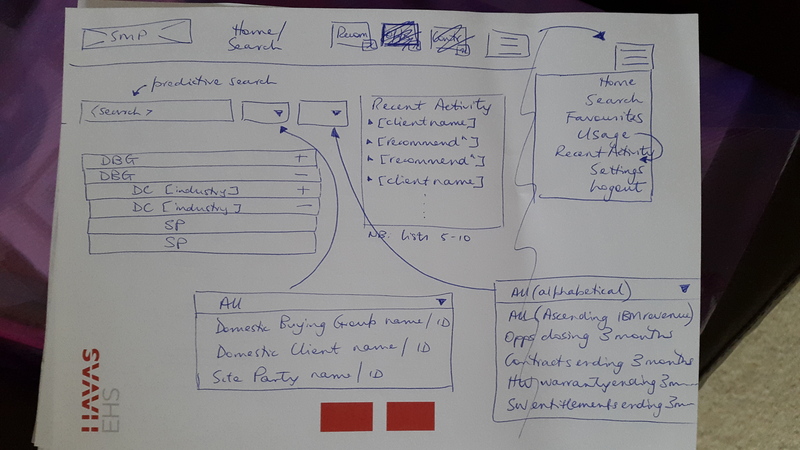 On return to London, a designer and I had 3 days to create interface designs for a dashboard to access the data.